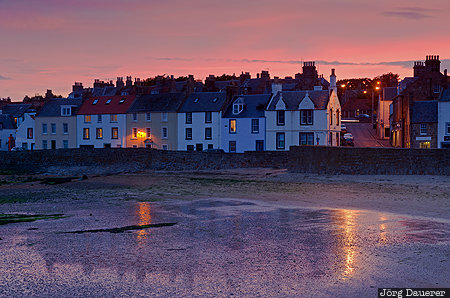 Houses at the beach of Anstruther in front of a colorful sunset sky. Anstruther is in Fife in the south east of Scotland in the north of the United Kingdom. This photo was taken in the evening of a sunny day in July of 2013. This photo was taken with a digital camera.